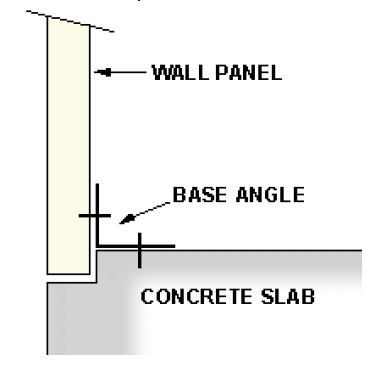 The Standard Base Angle option requires a notched concrete slab, and is included as a standard option in the base building price. The Base Trim option does not require a notched concrete slab, and the Base Trim is only available in two colors: Light stone & Burnished slate. 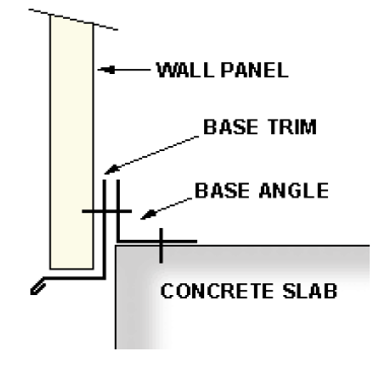 The Base Girt option requires a notched concrete slab or notched pier slab. 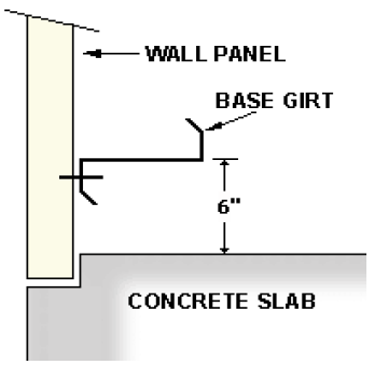 The Base Girt Option is primarily used for buildings that will have gravel floors or floors that will not be a full concrete slab. 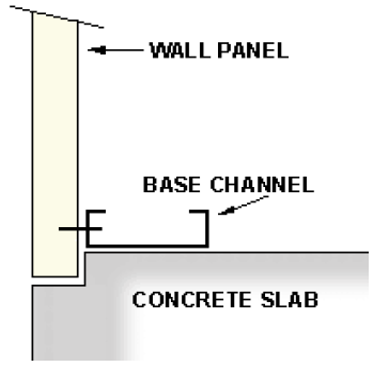 The Base Channel option requires a notched concrete slab. Base Channel works for buildings that will be equipped with interior liner panels.